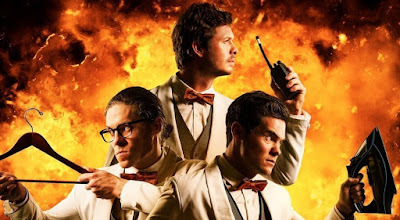 Home / netflix / Netflix Pick of the Week: Game Over, Man! Netflix Pick of the Week: Game Over, Man! Essentially a blown up workaholics episode that is different enough for anyone to enjoy. It's an action comedy but it's really a comedy at the expense of action. Crude humor, male genatalia, and bloode and gore from start to finish and a surprisingly well thought out script to blend the previously mentioned.